Trade your assignment for another assignment. 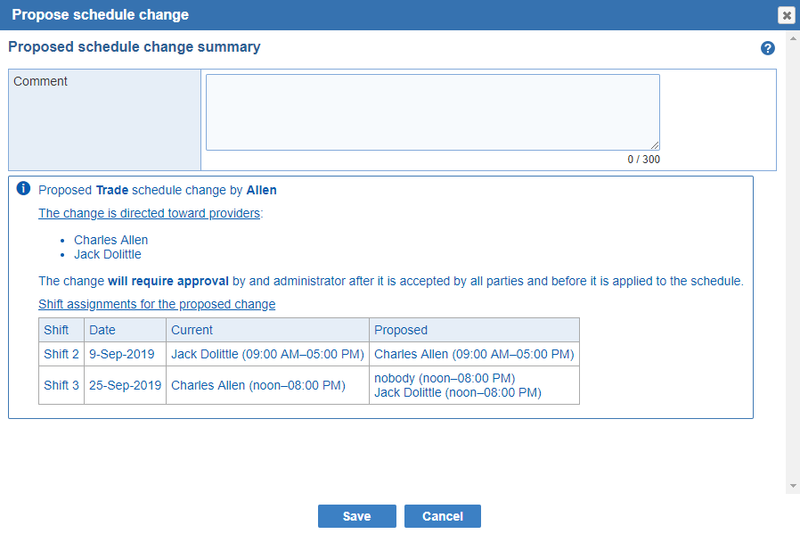 There are 3 options available for the 'Trade' schedule change. 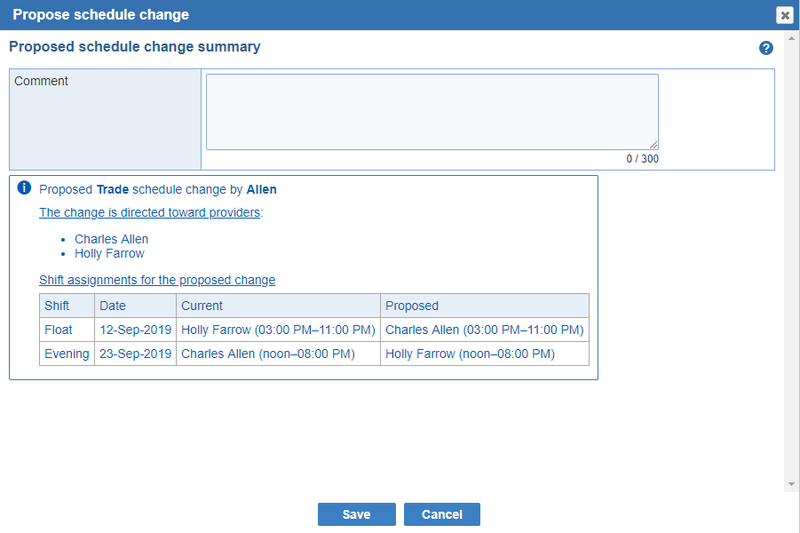 Swap meet: List the shift as available to tarde in the swap meet. You are still responsible for the coverage of the shift until another provider accepts the Swap. 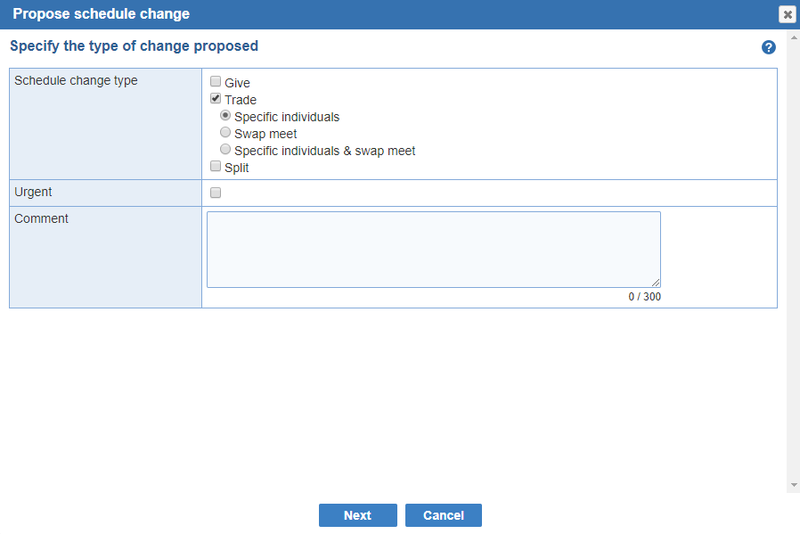 Specific individuals & swap meet: Is the combination of both options above. 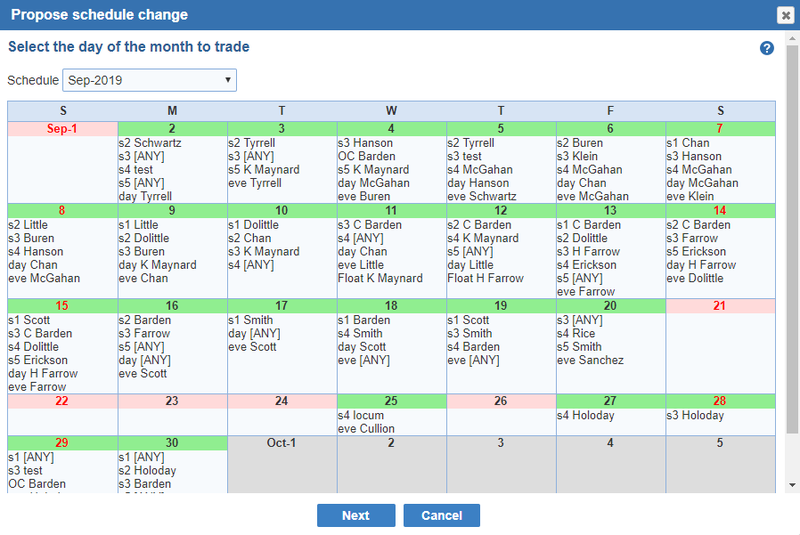 Select a day you want to trade for on the current month, or use the drop-down menu to select another month to see what shifts are available to trade with. In the calendar, days marked green have shifts that you can or want to work based on shift conflicts and preferences. Days marked pink are devoid of such shifts. The day can be colored as gray, meaning that there is no shift that is part of the trade for the day. 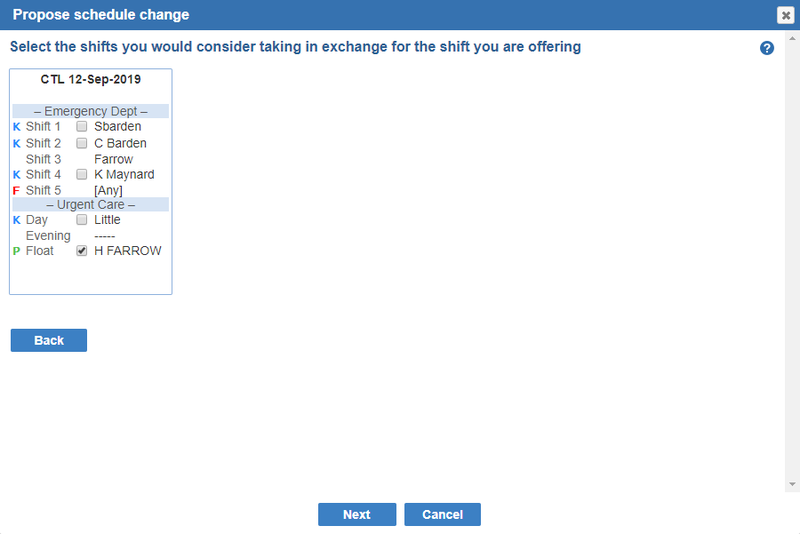 This situation can happen when a trade is initiated from the shift assigned to a provider other than the one currently logged in (i.e., the shift initially selected when defining the trade is the shift the current provider wants to work). See '3 Way Trade' for more information.